AMES, Iowa – America’s SBDC Iowa (SBDC) is pleased to announce that Mud on Main Coffee Shop, Café & Roastery of Aurelia, is the winner of the SBDC’s statewide Business of the Month Award. Mud on Main opened for business in October 2011. The company offers gourmet coffees, full breakfast and lunch menu, as well as delicious baked goods. In addition to the original location in Aurelia, Mud on Main has a second location in Cherokee. Both locations are known for their great coffee, wonderful atmosphere, and excellent service. Through the assistance of the SBDC, Mud on Main has seen a significant growth in sales, enough so that they were able to open a second location in Cherokee in September of 2017. 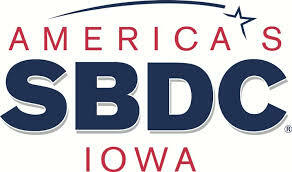 The company has also received encouragement and connections through their work Todd Rausch, Regional Director of the Western Iowa Tech SBDC. Mud on Main is a well-loved and respected business in both Aurelia and Cherokee. They have been embraced by both communities as a valuable part of daily life. For more information on Mud on Main Coffee Shop, Café & Roastery, visit the website www.mudonmain.com.